In a shocking twist of events, Northern Leaders have called for the immediate resignation of President Muhammadu Buhari, for making a deliberate attempt to dialogue with the Niger Delta Avengers, while clamping down on Boko Haram terrorists. Controversial Northern figure, Dr. Junaid Mohammed, who spoke on behalf of the Northerners on Sunday, June 26, likened the militant group, Niger Delta Avenger, to a terrorist group, and called on Buhari either resign or deal with the militants, as it has been dealing with the Boko Haram terrorists. “No forward-looking nation negotiates with terrorists. And I should say that if he does not have the political will to deal with the militants, he should step aside. Governance does not have room for destroyers,” he said. Speaking further, Mohammed, called on Buhari, to deploy its full military might, to deal with the Niger Delta militants. According to him, it will be an error for the Buhari led government to try to appease or appeal to the Niger Delta militants, to stop destroying oil installations, when a similar group in the North-East, are being confronted and dealt with as a terrorist group. 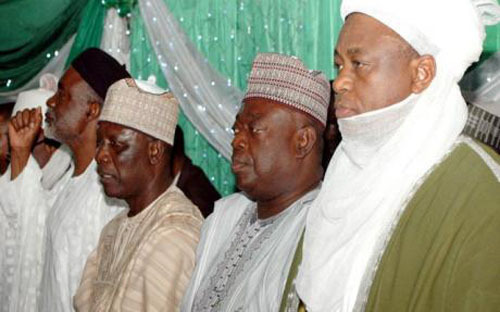 Mohammed, a former adviser to President Shehu Shagari, cautioned that any move by this administration to dialogue with the militants, and not out rightly crushing them to serve as a deterrent to would be terrorists, could result to another civil war in Nigeria. “Why is Buhari tackling Boko Haram with the military might, and going behind to negotiate with Niger Delta militants? “If Buhari is not careful with the NDA he will plunge the country into another civil war, because he does not have the mandate of the law to negotiate with terrorists”.